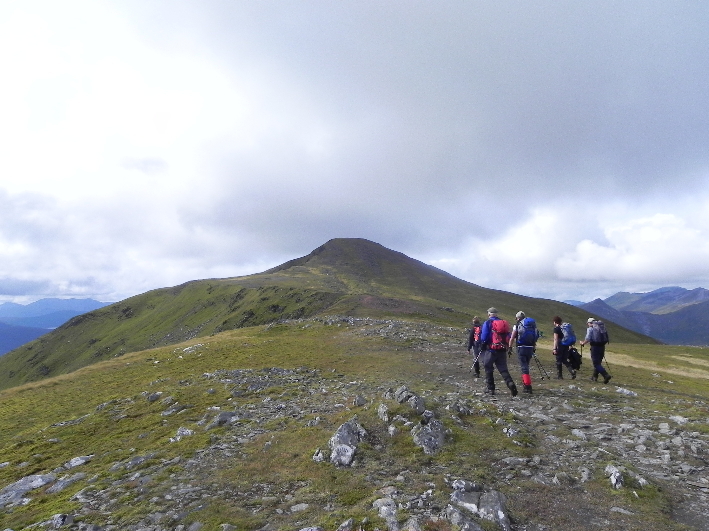 I’d first attempted the two hills on the north side of Loch Treig a few years back with Mick Tunney, a British Transport Policeman who had been very badly injured in a fall on Beinn Achaladair. He was working his way back to fitness in preparation for an attempt on all the Scottish 4000′ers to raise money for Mountain Rescue. 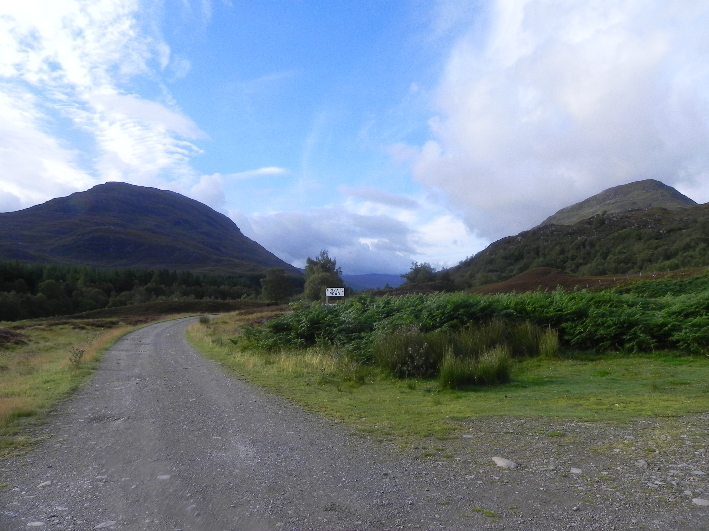 The weather had been horrendous, and with a full load of tent and all, our plan of doing these two hills and coming out at Corrour for the train was not going to happen. With only one hill done we retired back to Tulloch. 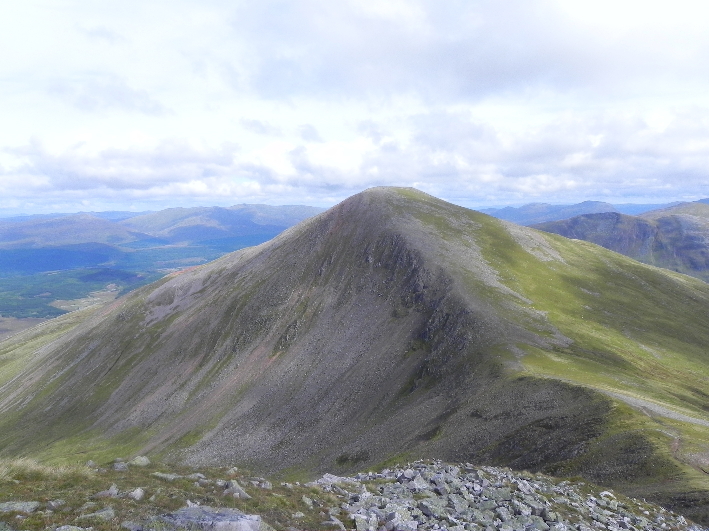 Since then these hills have been on my to-do list, and I got the opportunity to climb them when I saw that Paul Harrison had added them on to the “Ring Of Steall” to make a weekend of things at Roybridge. I’d been camping at Bunroy campsite, and from there to Fersit was only a short drive, and we assembled in the car park just after 9am. From the car park at Fersit, looking towards Loch Treig. Stob a' Coire Mheadhoin is on the right. The weather was looking far more promising than yesterday, we could actually see where we were today, which was a bonus. Two days of pea soup would be two too many. 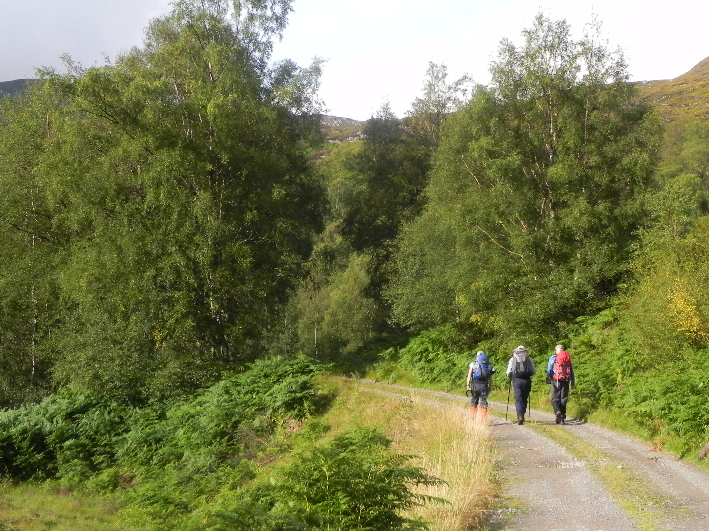 We headed off along the track towards Loch Treig. 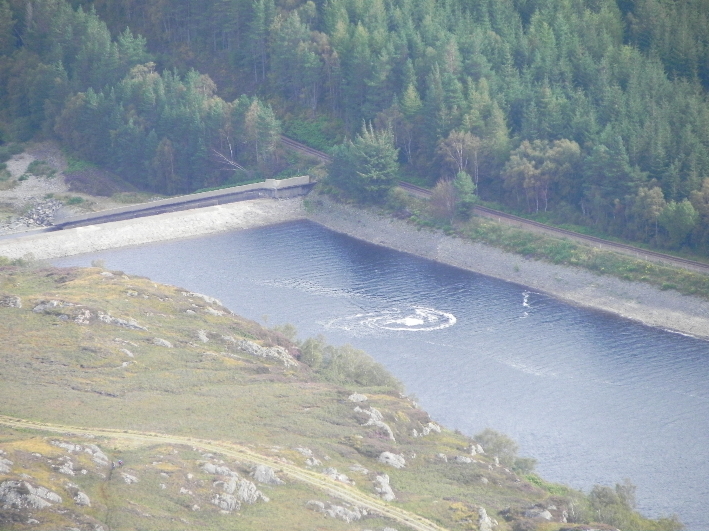 Loch Treig is that dark, dour stretch of water that you pass when on the West Highland Line, between Corrour and Tulloch. According to Bruce Sandison’s Lochs and Rivers of Scotland Loch Treig is “dismal and depressing” and “The last place in Scotland to fish”. With such a reputation it is not likely to see many anglers. That being the case, when the path forks uphill, that’s the route we take. This is the age of the ...Land Rover? We could hear a rumbling coming from the railway line, and at this time on a Sunday morning there are no trains due. 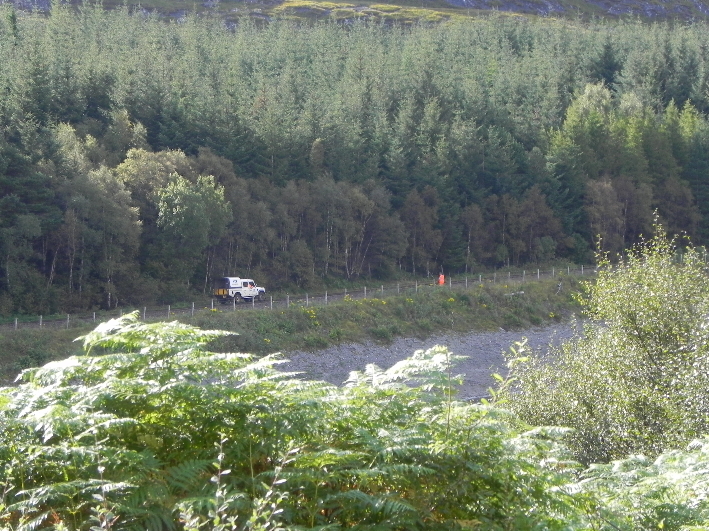 The source soon made itself known, a Land Rover ‘road-railer’ used for track inspections, heading south towards Corrour. 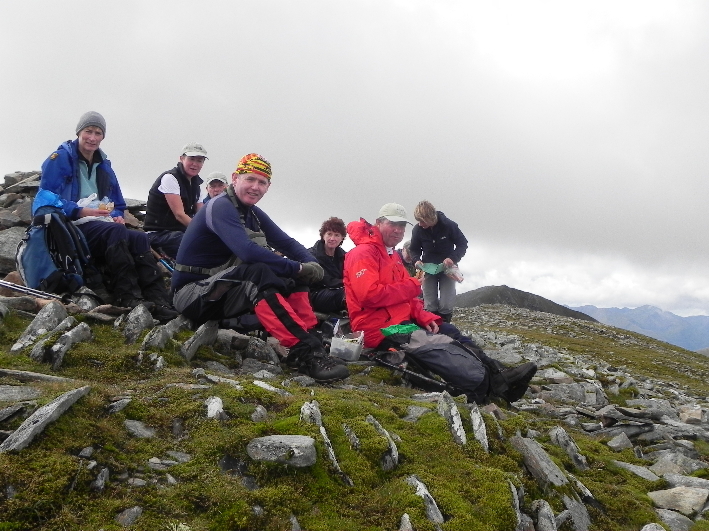 We climbed up, the terrain becoming steep and rocky, hands on in parts. 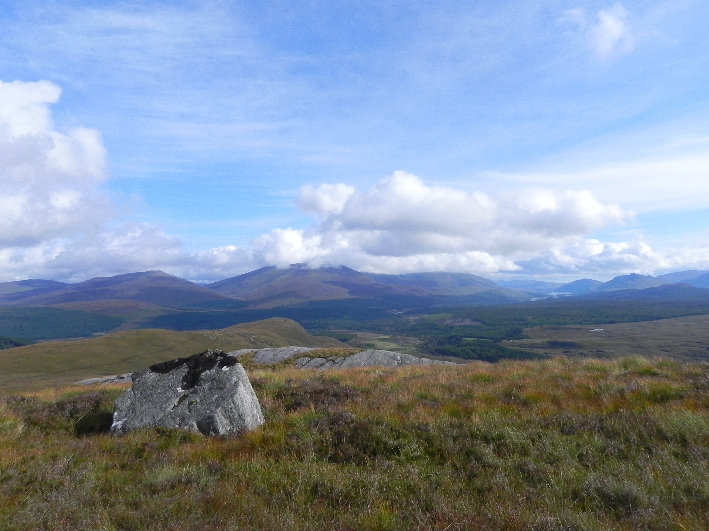 The weather was certainly an improvement on yesterday, with great views behind us of Loch Laggan and Creag Meagaidh, which I had climbed in July. 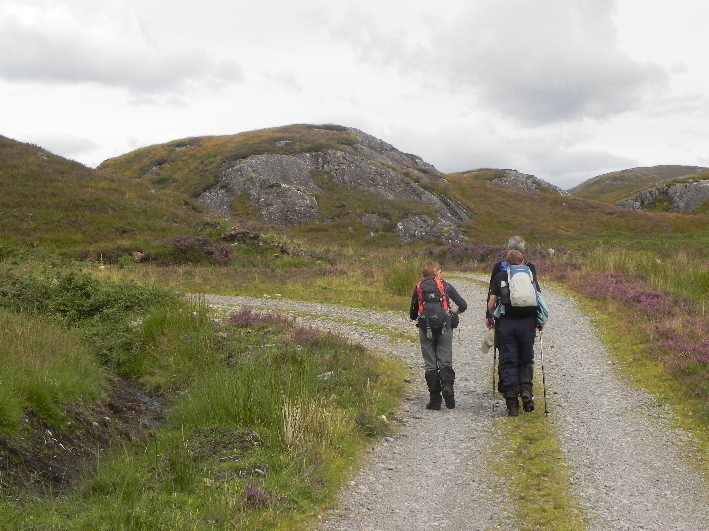 The route itself is straightforward and on clearing the rocks eases off, heading along the rim of the eastern slopes of the hill, before the final climb to the stony summit and its cairn. There are some great views here, the Grey Corries, Laggan, and all the way down across Rannoch Moor to the Buchaille at the head of Glen Etive. There’s an even better view towards the second hill of the day, and it’s the one I’m here for, Stob Coire Easain. Having not made it the last time I’m really pleased to see it on such a clear day. It does look an impressive beast, with a sheer northern aspect, and a path rising steeply up the edge of the corrie. 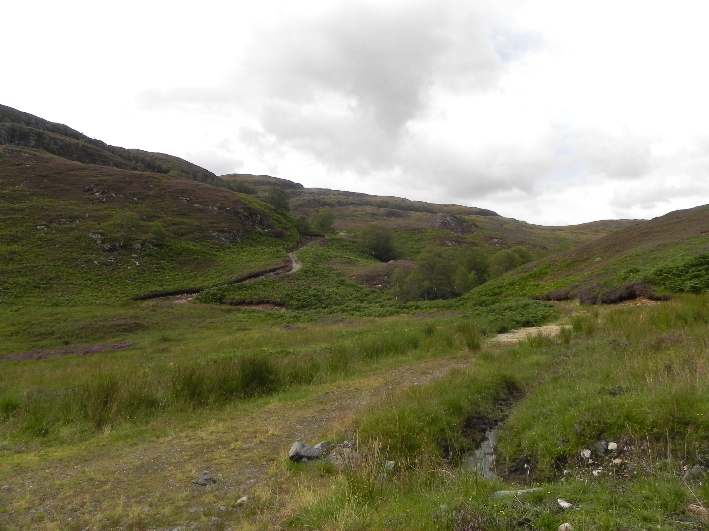 Before that however is a steep, rock strewn drop to the bealach. Had I known I was coming back to the bealach I could have left my rucksack, but as I was going slow to protect my knee I was slightly behind the group, and as they didn’t leave their bags I carried on behind them. 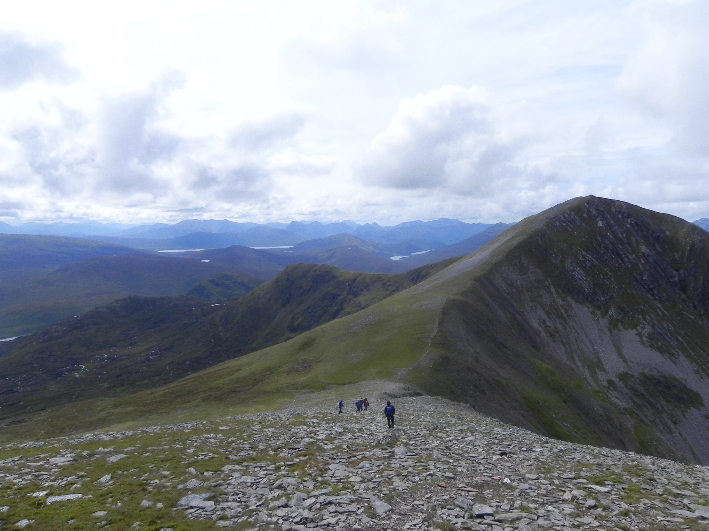 I’m faster on ascents than descents though, and had soon caught up with the group. 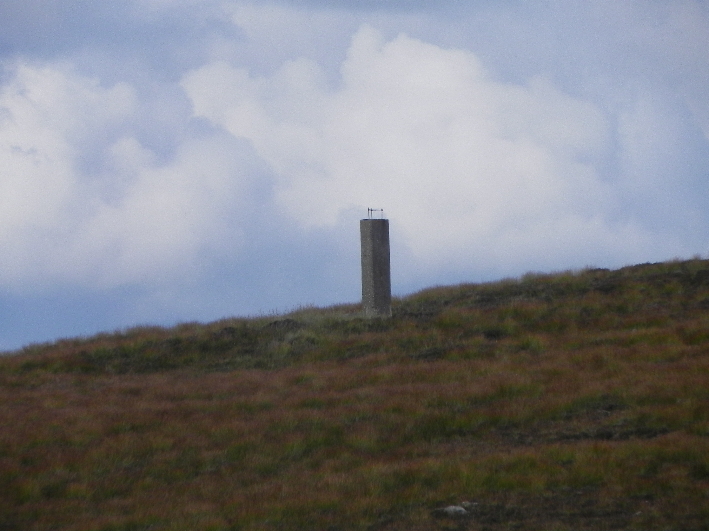 There is nothing tricky about this ascent, and I was soon at the summit, marked with a large grey cairn. 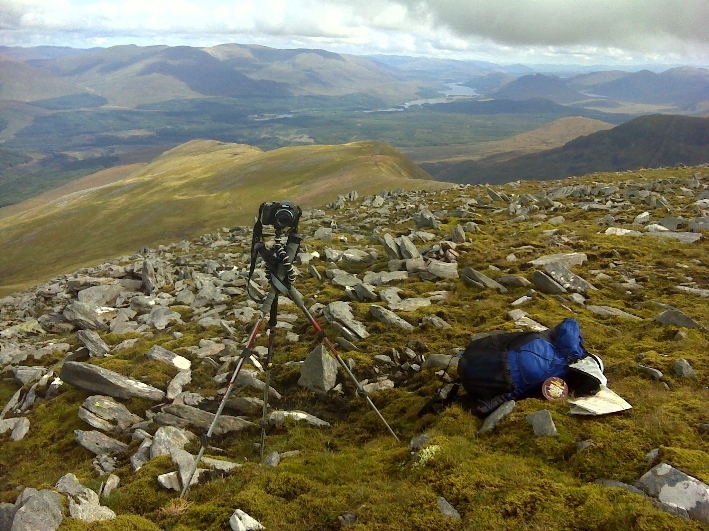 Black Diamond Tripod, the key to the summit photos! 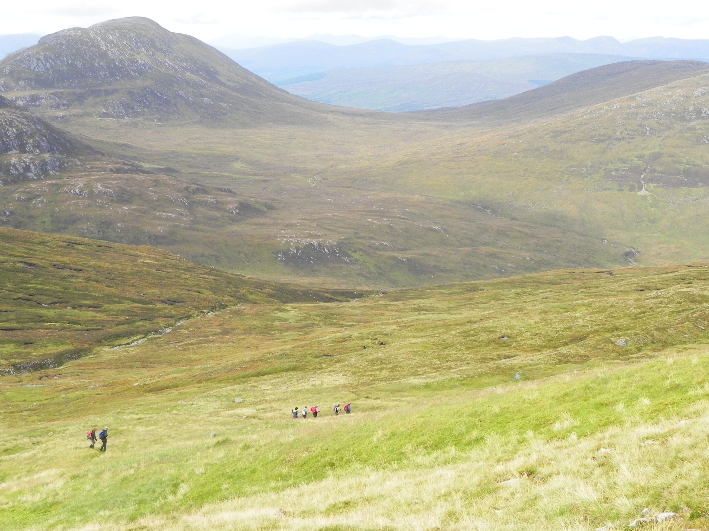 The descent back to the bealach was as straightforward as the ascent. As we dropped down we could see a couple making their way up, and as they got closer it became apparent they were friends of Paul, from the Glasgow Meetup Club. 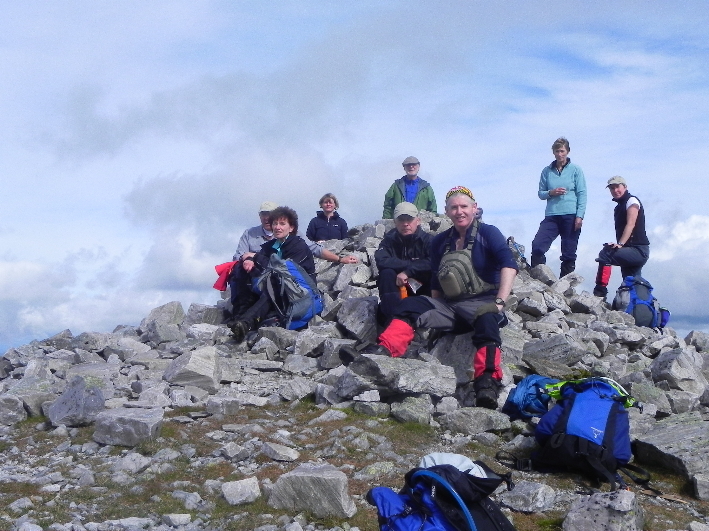 Hillwalking is a small world indeed! From the bealach you can either retrace your steps back up Stob a’ Coire Mheadhoin, or drop down west then north, and skirt round its northern slopes. We chose the latter. 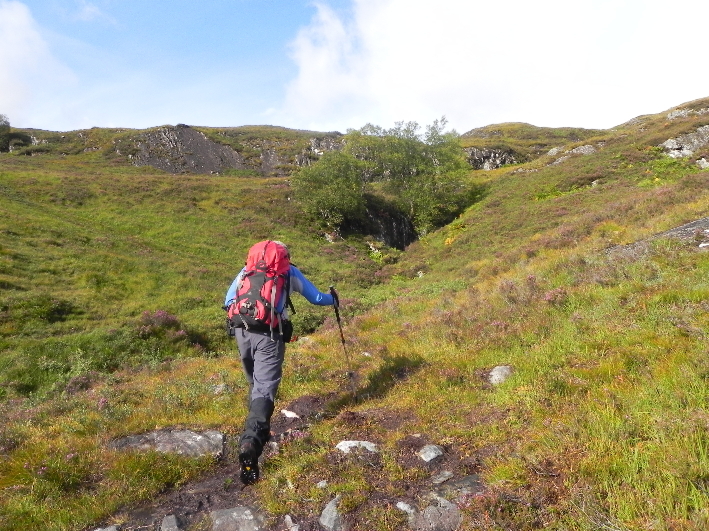 There is a good clear path, though after the recent wet weather the route was wet and boggy, and by the time we had reached the north eastern slopes of the hill, and our old path, we were glad to see the back of it. It was easier on the knees than the steep descent we could have had. On the way up we had noticed a more direct route down to the path at the loch and took this. Unfortunately the group split just a few hundred metres from the road, the latter group being unable to see where the first had gone. We passed through an old sheep pen, and arrived at the track, then headed along to catch the others. We came to a fork in the track. At the end of the day when you legs are tired, it’s a stick on that if you you come to a fork and one path goes up, and the other down, you’ll go down. Which we did. Turns out it was the wrong way. This path went along the loch and we met up with the others at the dam, they having taken the high road. Within ten minutes we were back at the cars, and we were off, the others heading south by car, me by train. There’s a station just up the road from Fersit, at Tulloch, but as there’s no shop, and more importantly no pub I found Roybridge a more amenable place to dropped off. As the train passed Loch Treig heading for Glasgow I could finally look up at the hills across the loch and say “been there”. 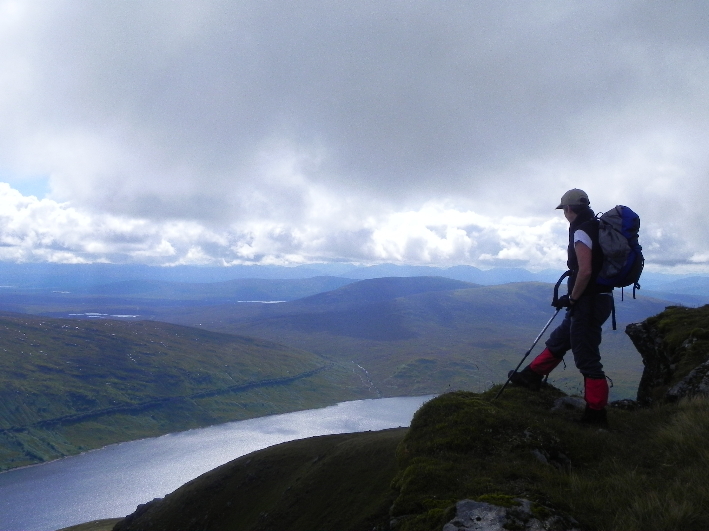 The other side of the loch is still to be completed, a lone summit still awaits me. Another visit to Fersit is certainly on the cards, the only question is, when? Bruce Sandisons book does say that the water level can drop by 80ft!